A mix of what's been happening during the first few weeks of 2018, including some stunners from regular Contributors! 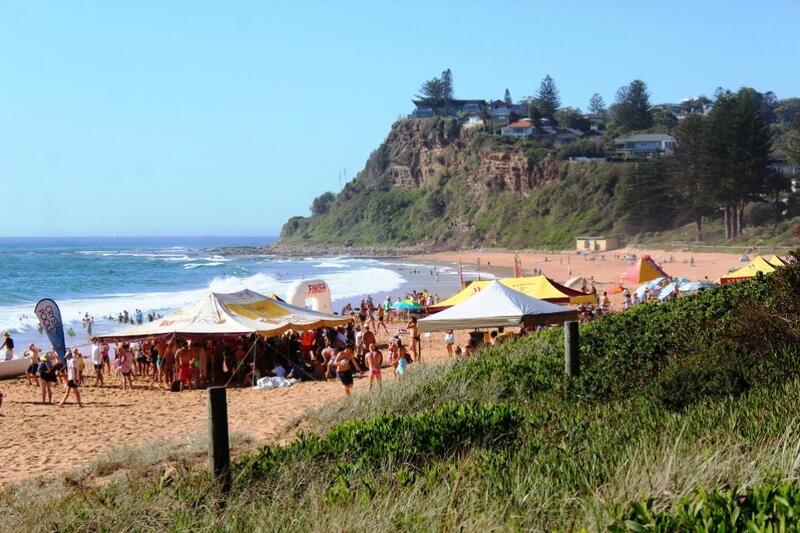 For everyone who loves horses, which is most of us here in Pittwater, the annual Polo by the Sea has become a Summer treat and feast for the eyes where glorious ponies with skilled riders showcase an ancient game in spectacular fashion - albeit on a reduced sized field. In between games visitors stomp on divots, take part in fashion parades and dashes for prizes on field or listen to great live music by some of the best contemporary songsters. There was even a wedding this year! 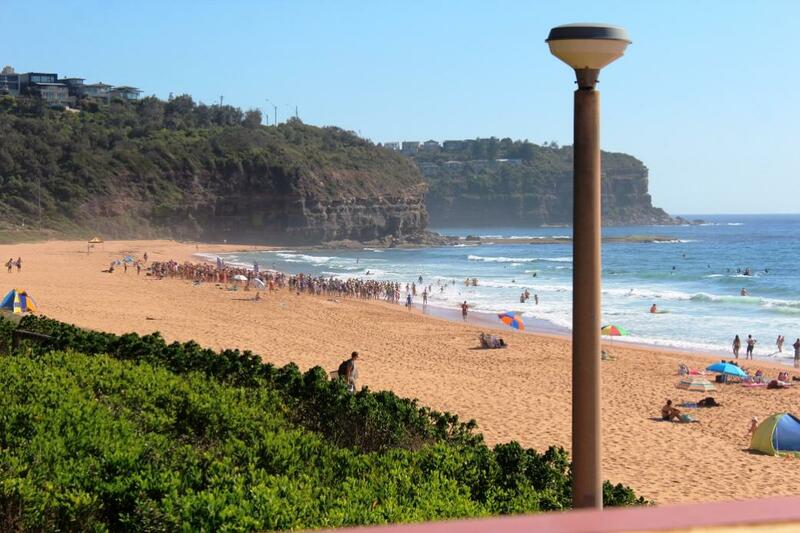 The first Polo by the Sea, run in 2015, gave added insight in the team behind Polo by the Sea letting us know the first polo game in New South Wales was played at Moore Park in 1874, where the then 14th Governor of New South Wales, Sir Hercules George Robert Robinson, 1st Baron Rosmead, GCMG, PC, was a player. Polo by the Sea isn't the first instance of a polo field and players and games in Pittwater as G S Brock, the owner and builder of The Oaks at Mona Vale, soon to be known as La Corniche, was a passionate player as was the father of Don and Australian aviation legend and Bayview resident Sir P. G. 'Bill' Taylor - P. T. Taylor. Don Taylor (son of W D M Taylor) I can tell you who most of them are: it’s the Taylor family without their mother. From the right is W. D.M., my father, sitting on the fence is Patrick Gordon, who preferred to be called ‘Bill’, that’s an unknown, the girl is Norah, their sister, who looks like she’s about 13 or 14 there, the man in the white cap is P. T. Taylor their father, he was keen on polo, then another unknown and the one on the extreme left is probably Ken. Photo courtesy Taylor family. 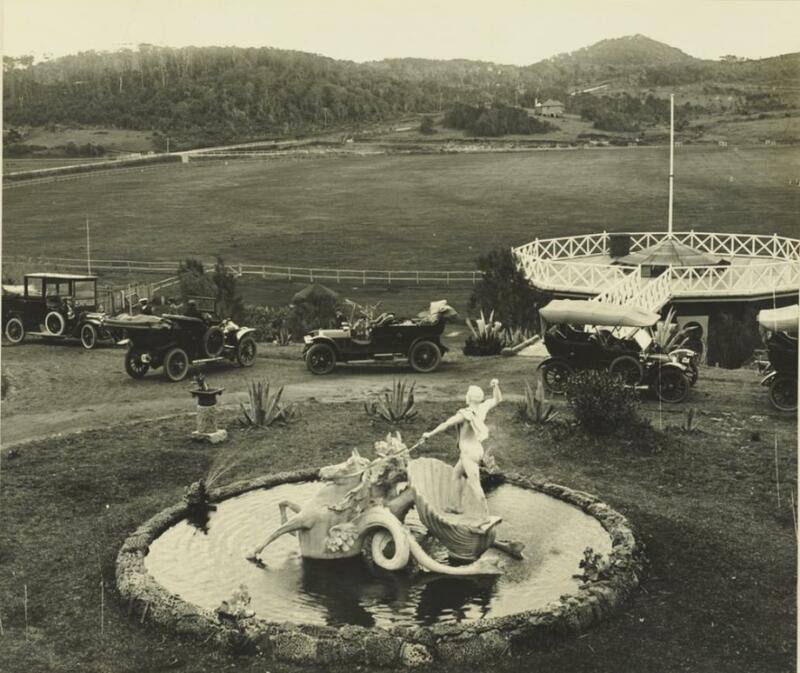 The Oaks, Mona Vale - view over Polo Field and north towards Newport, courtesy State Library of NSW. Also visit: Mona Vale Training Grounds - From Lancers on Horses to Lasses on Transport Courses. SALE OF MR. BROCK'S STUDS. The polo ponies and Jersey cattle, forming the studs at "The Oaks," Mona Vale, Pitt-water, were dispersed yesterday afternoon under the hammer by Messrs. Maccabe and Dodds, Sydney. The sale took place along-side the polo ground of the picturesque residence of Mr. G. S. Brock, and attracted a fair number of buyers from Sydney, as well as a good sprinkling of local residents. The polo ponies catalogued comprised upwards of 37 head, and the Jerseys-including four steers-17 head. Although the ponies figured first In the catalogue they were sold last. The Jerseys were all run into a paddock, and a start was made with the bull Duke of Melbourne, a five-year-old son of the Government-imported bull Melbourne-Kitty, g d, by Favourite-Baronne, Effingham Duke, imported by the late Hon. James White. Buyers' ideas of values wore not high, and bidding was not too brisk, except on odd lots. The noble Duke-a real fine Jersey bull-was started at five guineas, and knocked down at ten guineas. A son of the Duke's, out of Rosy, Rosy Dawn III., Boatswain, Bessie Black, Pomonas Dally, imp., realised half the price of his sire. The top price of the cows was nine and a half guineas, and the top price for heifers was eight and a half guineas; while the four young steers went to the local butcher at 39s per head. The polo ponies were led out in a ring, and the first to appear was Queenie, a bay mare, very good in harness, and all she fetched was six guineas. Another bay mare, Reckless, an excellent polo pony, was knocked down for eight guineas. Pony, foaled a year later than Reckless, namely 1899, also a good polo pony, realised 10 guineas. Carblnesso, a brown mare, with colt at foot, by Souvenir, was passed in at 20 guineas. That grand polo pony stallion Souvenir, out of Annie, by imported Arab, out at Manaroo, Arab mare, was started at 20 guineas, and went trotting along up to 40 guineas. While at that figure Mr. Mackellar remarked that quite recently he sold a sister to Souvenir at 60 guineas. However, as no additional bid was forthcoming the crack pony stallion was passed in. Polo by the Sea in 2016 had to be cancelled due to those Summer downpours that in Winter close all local playing fields. Those fearless players were back in 2017 though, thrilling the local audiences, whether they were wearing thongs and shorts or dresses and heels, alike. Allowing residents access to a viewing spot from the northern end of the field has remained part of what Polo by the Sea is about. Newport SLSC Hosts an 800m event and the 2km event are a great chance to kick the new year’s resolution into gear, and hit the water. 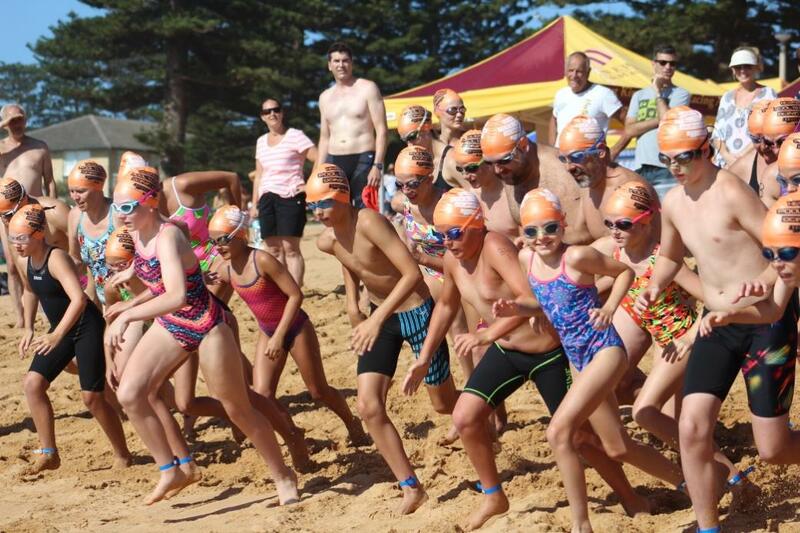 This year there was also a 400m swim for the younger swimmers, with 10-14 year olds able to test their skills just like their parents in a circuit just off the shore. The 400m swim was started as the club had a lot of requests from younger swimmers to be able to participate in their annual Pool to Peak event so they introduced the new 400m swim this year. The 400m course is also ideal for older swimmers who would like to have a go at swimming in the ocean to develop their skills and stamina. 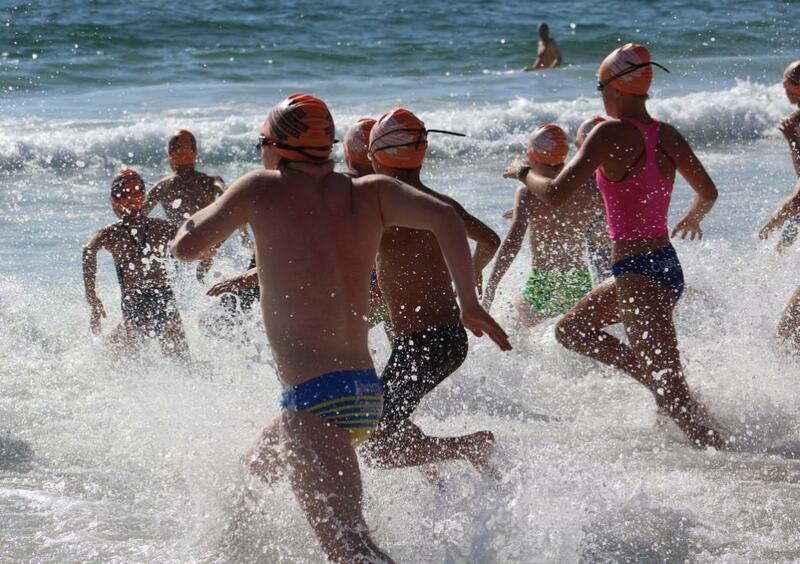 The new event for younger swimmers and people wishing an introduction to Ocean Swimmer attracted just under 60 swimmers. The club were very pleased with this response and should continue with the 400m so swimmers have stepping stones for event distances of 400m then 800m and finally the big one at 2km. Warren Young OAM, sent us through a few photos he'd taken on his old Fuji waterproof camera that has survived a few mishaps but still working. Still getting great snaps and sharing them as WazzaAbout, these images show there has been a little more headland rock fall prey to gravity since last year's more dramatic rockfall. The photos were taken earlier this week.